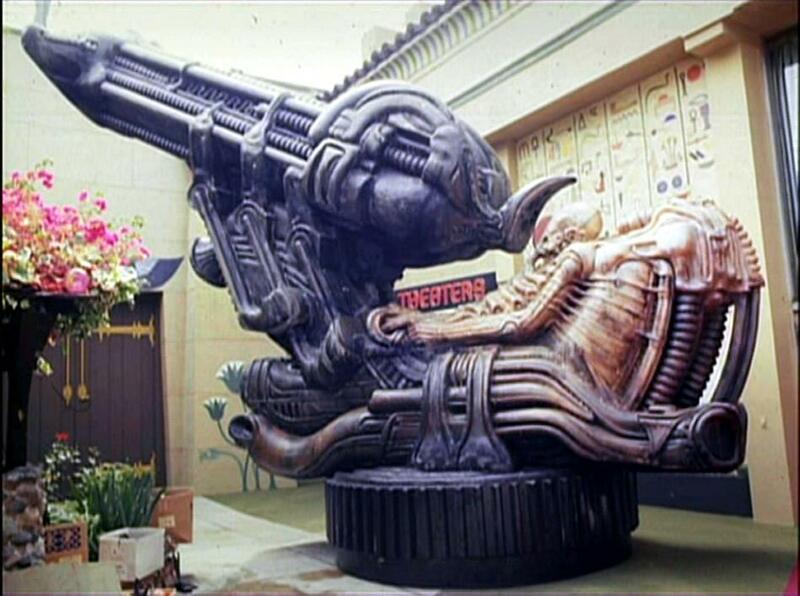 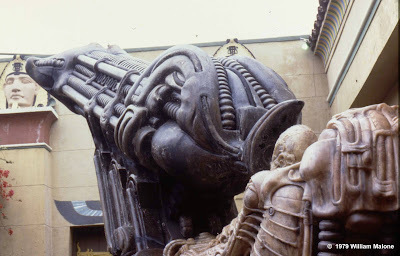 inspiration Henu Barque and also Moebius? 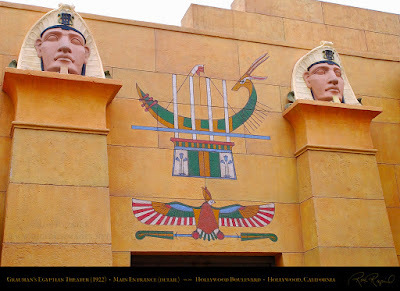 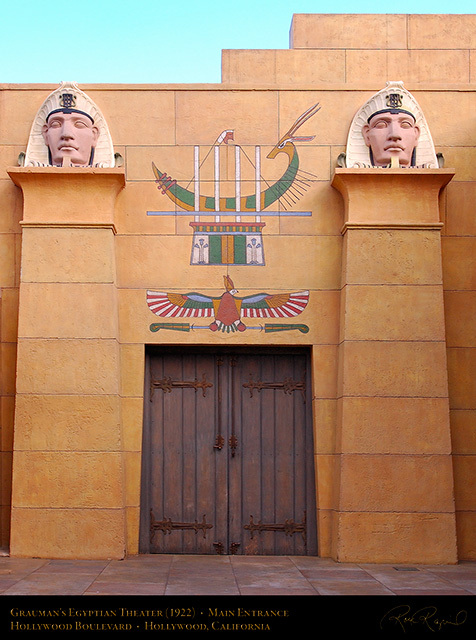 Above the East wall doorway of the Egyptian Theatre in Hollywood is a depiction of the Henu Barque. 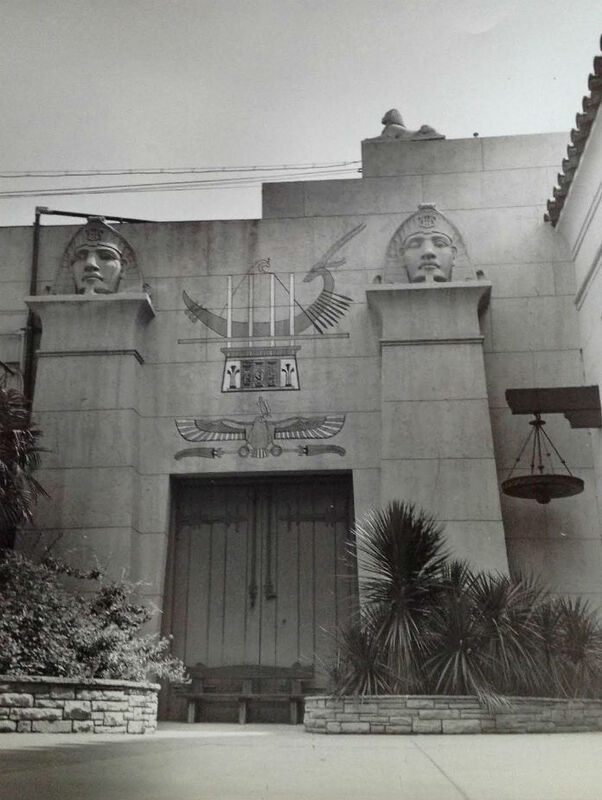 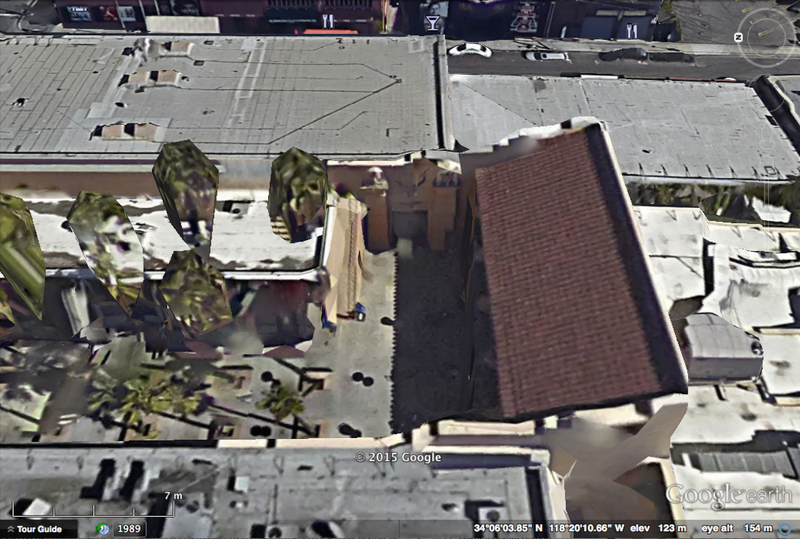 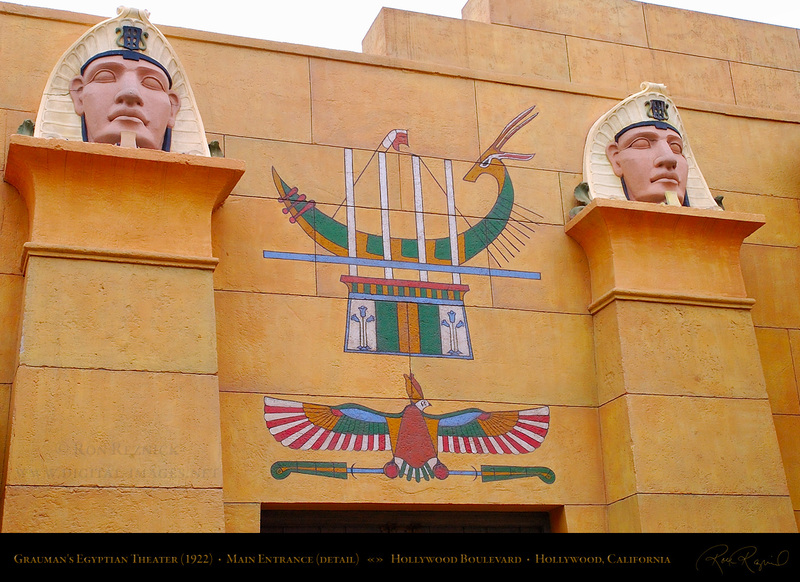 The doorway doesn't actually open , and in an old postcard it is presented as the entrance to the Egyptian Theatre. What this image is based on is another question. 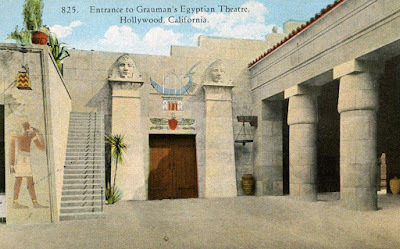 The photos show it to be green and yellow while a postcard from the 1930s shows it to be blue. 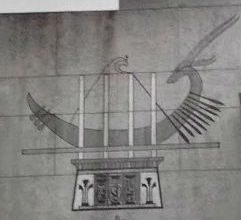 A 1946 photo shows what should the falcon head to be like a cobra head because it is not complete. b) Disappearance of the Henu Barque by 1979. 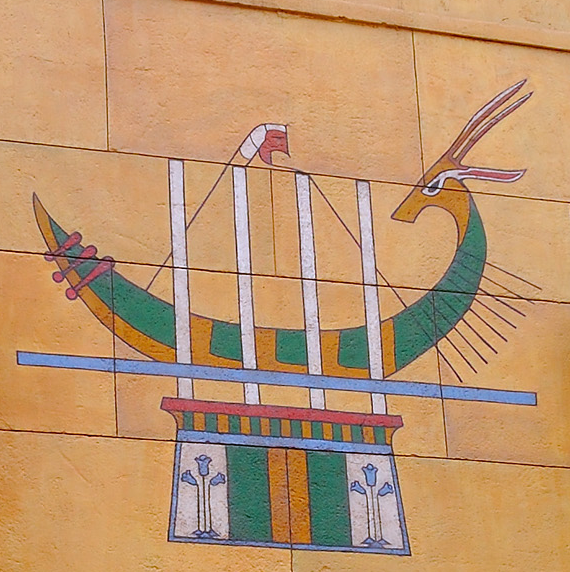 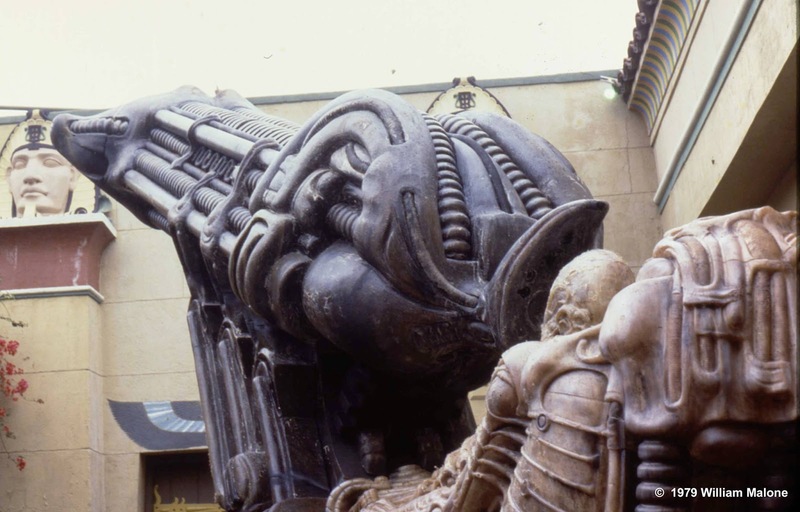 However at a later date, at a time when the foyer had been extended to where the pillars were and a hieroglyphic mural had been put up, the Henu barque looks as if it had been painted out completely by 1979. 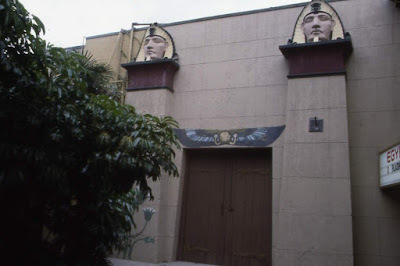 When was it last there and had it been painted anywhere else since? 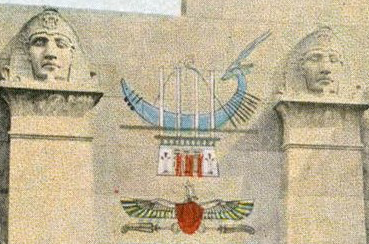 Wings can be seen over the doorway painted much lower down than the previous falcon's and with darker wings. absence of the Henu Barque, part of the Theatre Talks collection. 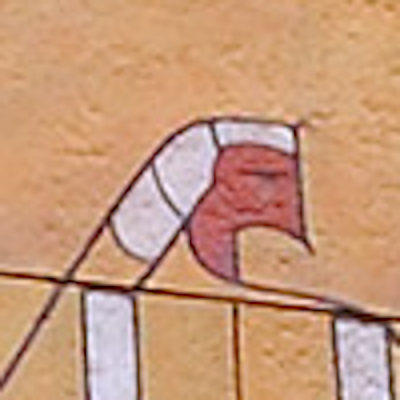 In the modern version of this image the simplified antelope head almost resembles a long beaked wattled birds head. 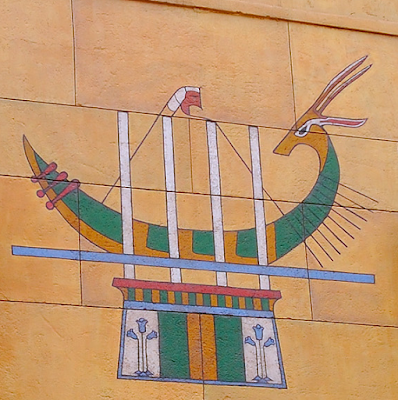 However it seems as if they have turned the cobra falcon head on top of the fetish on he barque into a head of an pharaoh and painted the heads either side in the same way. 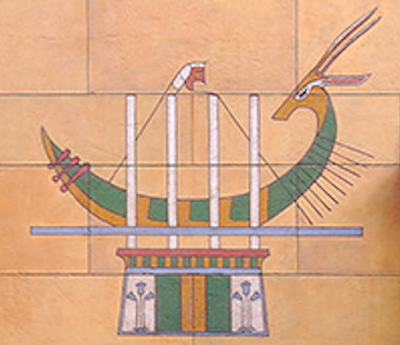 The main body of the barque is green and yellow, with L shapes between the vertical white supports.